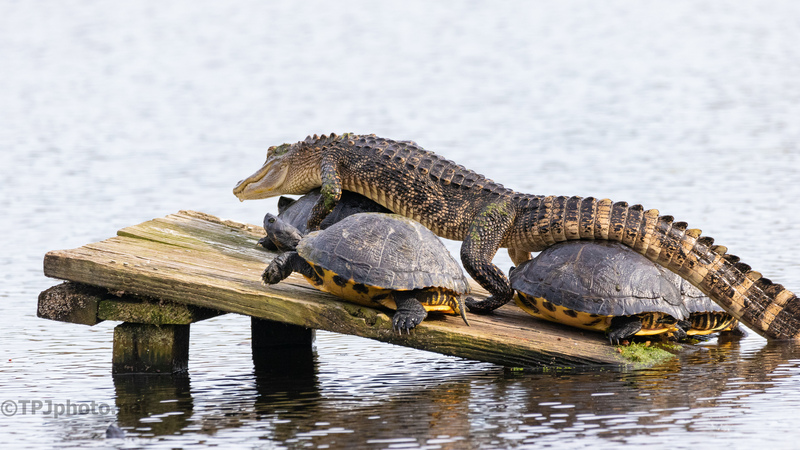 We always joke and take photographs of the Alligators hanging out with Turtles. Like using them as a pillow. I have wanted to get one taking over a wooden ramp, then promptly forgot when I did. I came across an entire series of a take over. Above is the first in a series. I got carried away and now have a bunch to go through. Note: The Alligator is about 4 foot long (1.2 m) so these Turtles were really big.